Just a short drive outside of Simcoe, our state-of-the-art archery range awaits you. We have 10 lanes available for you to draw your bow and hit the bullseye! 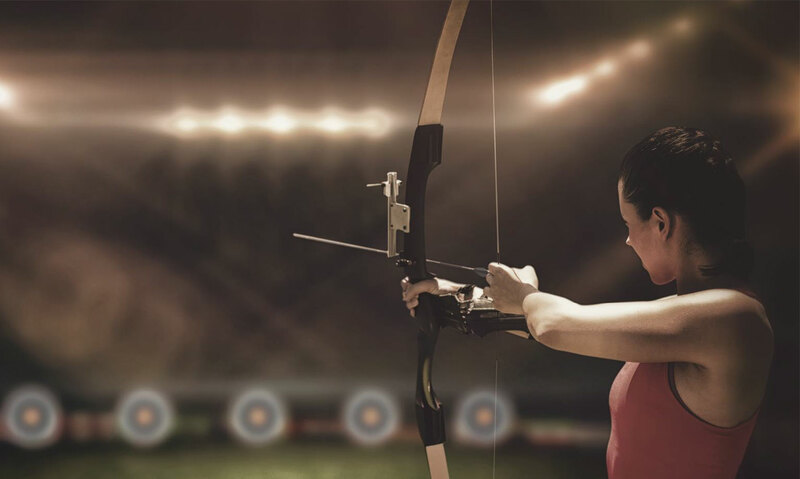 Try the sport for the first time or improve your technique with our archery lesson and rental packages. If you’re looking for extra practice and some friendly competition, we host both adult and youth archery leagues. We even offer special events and birthday parties if you want to plan an unforgettable outing! Our archery range has something for everybody, from bow hunters to competitive archers to first timers, visit Triggers and Bows today to join in the excitement. Our archery experts are ready to help you learn the basics, practice your shot or equip you with the best gear available. Your target is waiting, visit Triggers and Bows today! There’s a way for everybody to join in the archery fun at Triggers and Bows. For our seasoned shooters, we offer lane rentals, leagues and archery range memberships with 24/7 access. If you want to learn how to shoot a bow and arrow, you can book an archery lesson or even a special event to try it out as a group. For our younger archers, we offer youth programs and birthday parties, as well as a youth archery league when you’re ready to show off your skills. We’re just a short trip away from Simcoe, plan your visit and get ready to hit a bullseye! A great bow for developing archers working to learn how to shoot with a traditional design, the Bear® Archery Bullseye X Recurve Bow delivers smooth performance on every shot. A take-down design, this recurve features multi-laminate limbs for long lasting performance and reliability. Features mounting holes for sight and arrow rest for further customization. Right hand only.